MOSCOW, Dec. 19 (Xinhua) -- Russia will have to "respond adequately" to excessive U.S. military presence in Ukraine, Russian Deputy Foreign Minister Grigory Karasin said in an interview with RIA Novosti news agency published Wednesday. 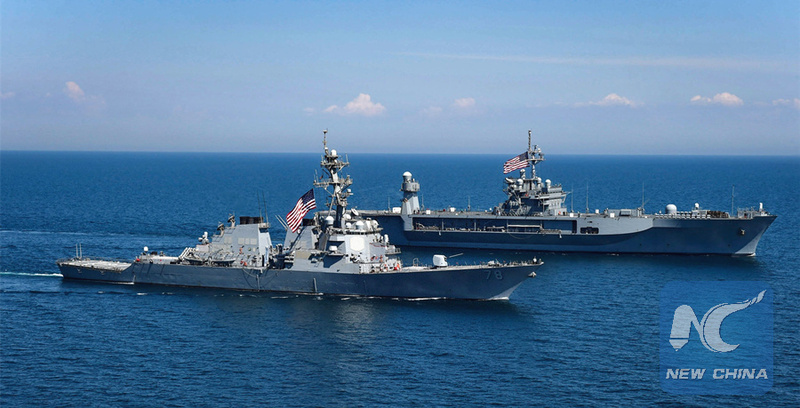 According to Karasin, since 2014 U.S. instructors have been deployed at various Ukrainian test sites to train Ukrainian servicemen all year round, while U.S. Navy ships often enter Ukrainian ports in the Black Sea and participate in joint exercises. In the summer of 2017, the U.S. military began to build a fleet operations control center for the Ukrainian Navy in Ukraine's Black Sea port city of Ochakiv near Crimea, he said. "The prospect of the emergence of a U.S. military base in the country will inevitably lead to a further deterioration of the security situation and have an extremely negative impact on the prospect for resolving the conflict in Donbass," Karasin said. Relations between former allies Russia and Ukraine deteriorated after Russia incorporated Crimea in 2014 following a local referendum. In 2017, the United States decided to sell lethal weapons to Ukraine, which Russia vehemently condemned.